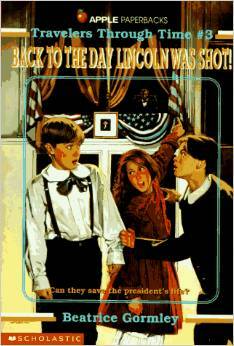 Back to the Day Lincoln Was Shot by Beatrice Gormley (Travelers Through Time #3, 1996, 138 pages). I do judge a book by its cover and the cheesiness of this one made me want to read it. In contrast to the stilted pose on the cover, the story was lively and interesting. I liked it better than the other two books that I have read by this author (my reviews: Back to the Titanic, Back to Paul Revere). Summary from Amazon: When their grandfather invents a time machine, Matt and Emily, accompanied by their scientific genius friend Jonathan, journey back to the night when President Lincoln was shot in the hopes of preventing the assassination. SPOILER ALERT FOR PRETTY MUCH ALL MIDDLE GRADE TIME TRAVEL BOOKS: you can’t undo major events that have happened in the past. So I knew these kids’ mission was doomed from the start. Surprisingly, there was still some suspense because I wanted to see how it all played out. At the start of the story the trio together come up with three ideas to thwart the assassination, then they split up and try to make them work. Different chapters follow Matt, Emily, and Jonathan. I learned a lot about the assassination. The author captures the ordinariness of the day. The play Lincoln was watching when he was killed was Our American Cousin. It was fascinating to learn about the play and what passed for humor back then. I like to think that Lincoln was able to relax and was truly enjoying himself in his final hour, watching this comedic play. It is still so sad to think of Lincoln, who had given so much of himself to his country, having his life cut short, and the author’s portrayal of Lincoln is appropriately poignant. All three books I read showed how different Washington, D.C. then was from now, full of horses pulling carriages, cows running around, and wooden sidewalks. All three described how people could just walk into the White House. This was explained best in Abe Lincoln at Last: When Abe Lincoln became president in 1861, the White House was considered to belong to all of the citizens of the country. This was pre secret service. Hard to imagine, no? 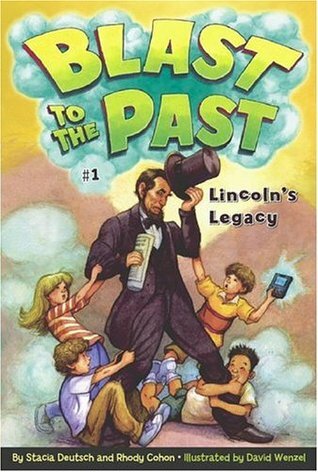 Lincoln’s Legacy (Blast to the Past #1) by Stacia Deutsch and Rhody Cohon, (2005, 96 pages). This is the first in the series of eight. The premise of this series is that certain famous people in history were close to giving up at some point before they accomplished what they became noted for. Mr. C’s students have to travel back in time to convince the people not to quit, or presumably some alternative space/time continuum will arise. Hard to swallow logically, even using time-travel logic, but the books work. Lincoln would seem a great pick for this series as he no doubt felt discouraged by the Civil War. When the kids meet Lincoln, he has written the Emancipation Proclamation but has not issued it yet. Abigail and her three friends try to convince him to do so. Lincoln is depressed and feeling like the north is losing the war. The book describes how Lincoln got his information about what was going on in the world via telegraph, and sometimes the info took days to reach him, which was interesting. The kids bring Lincoln to the present time, which was fun. The books in the series are short and sweet. Magic Treehouse is probably the most popular time travel book series, yet this is the first one from the series I have reviewed! 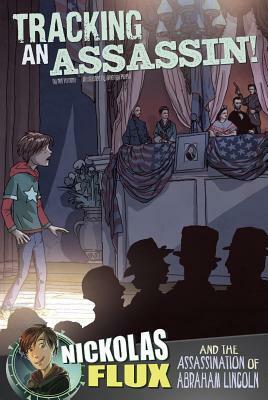 The well-traveled Jack and Annie go to 1861 and meet the president and his sons. The story focuses more on a boy they meet, Sam, than Lincoln, which was fine by me. There were a lot of great details about the chores Sam had to do every day. Sweet illustrations every few pages help make this book enjoyable. Another brief book. When a spontaneous time leap sends Nickolas Flux back to the assassination of President Abraham Lincoln, what’s a teenage history buff to do? Join the hunt for the presidents killer, of course! From the crack of the fatal shot to the hunt for John Wilkes Booth, Nick arrives at one of the most pivotal moments in American history. Edwin Booth and his younger brother John Wilkes Booth were, in many ways, two of a kind. They were among America’s finest actors, having inherited their father’s commanding stage presence along with his penchant for alcohol and impulsive behavior. In other respects, the two brothers were very different. Edwin was more introspective, while John was known for his passionate intensity. They stood at opposite poles politically, as well: Edwin voted for Abraham Lincoln; John was an ardent advocate of the Confederacy. Award-winning author James Cross Giblin draws on first-hand accounts of family members, friends, and colleagues to create vivid images of Edwin Booth and his brother John Wilkes, best known today as the man who shot Abraham Lincoln. He traces the events leading up to the assassination and describes the effects of John Wilkes’s infamous deed on himself, his family, and his country. Comprehensive and compelling, this dual portrait illuminates a dark and tragic moment in the nation’s history and explores the complex legacy of two leading men—one revered, the other abhorred. 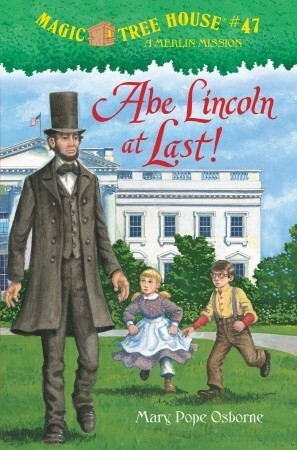 This entry was posted in Book reviews and tagged Abe Lincoln at Last!, Back to the Day Lincoln Was Shot, Blast to the Past series, kids' time travel stories, Lincoln's Legacy, time travel books for children. Bookmark the permalink. You’ve compiled some great resources of fun books about Lincoln. The time travel aspect is always a hook for kids. I just finished reading THE LEFT BEHINDS…. about time travel back to George Washington’s time. Wow, I am very intrigued re Ted Williams. Apparently you know something I don’t. These sound really great, especially the first one. I can see these working well in February for a president unit, but also just fun in themselves. I love how time travel and historical fiction give you a feel for the everyday life and the realness of these people we hear about in history books. Yes, it makes them SO much more real. Just a thought but what if corporate time travelers actually DID murder President Abe on purpose using a John Boot who was destined to die also for their cause because they didn’t like the idea of the *White House* belonging to all citizens and that was there way of getting power which leads to the corporate/military complex of today? Perhaps WE are the ones living in the wrong time line which is why a growing number of us are feeling an awakening happening which is mother nature’s way of trying to restore the past to it’s default while we keep gumming it up. We may be the ones in the wrong. Either way we need to vote right for the people by the people and not treat the Constitution as a *living* document which is not. In fact that idea is likely done by the big corporate/military leaders to lull us into giving up our rights so they can have power thru central banking. Search for all wars are banker wars and you’ll have an amazed view of things or have more information if you know some of it already. Edit: I am tired. I meant John Booth. My fingers are real tired now as I was typing before this.